Joey has been blessed to have a very special young man in his life. Last fall, when he asked Joe and I if he could play football I was very hesitant. It was one of those times in my life where I had to weigh the importance of Joey’s health VS. letting him be his own person, who happens to have a chronic disease that is very unpredictable in certain situations, like sports. The summer before he had quit baseball, it wasn’t a sport that he had a lot of confidence in himself, and the diabetes didn’t help at all, he spent a very hot summer playing in the heat, getting dehydrated time and again. So I wondered why he wanted to take on the huge game of football?? Football means practicing every day, from early August (HOT) until the first game in September, and then 3 times a week plus game day. At least with baseball I could quietly walk over to the bench and nudge him to check his blood sugar, not something I could do on the football field. NO MOMS ALLOWED! Joey felt my hesitation, he knew he had a fight ahead of him, so he decided to take this on himself, and convince me that he could do it. He went online and discovered that the WI Badger’s had a player named Jake Bryne, who has type 1 diabetes. Joey knew that this fact alone wouldn’t convince me, so he found Jake on facebook, emailed him privately, and to his disbelief and such excitement, Jake emailed him back. Jake’s story is so inspiring, he was a 245-pound offensive tackle as a sophomore in high school. He started dropping weight, and discovered he had type 1 diabetes. He didn’t give up his dream, he figured out that he needed to change his diet and worked out in the weight room to get stronger. He was ranked 44th-best tight end in nation by Scout.com. Pretty impressive. 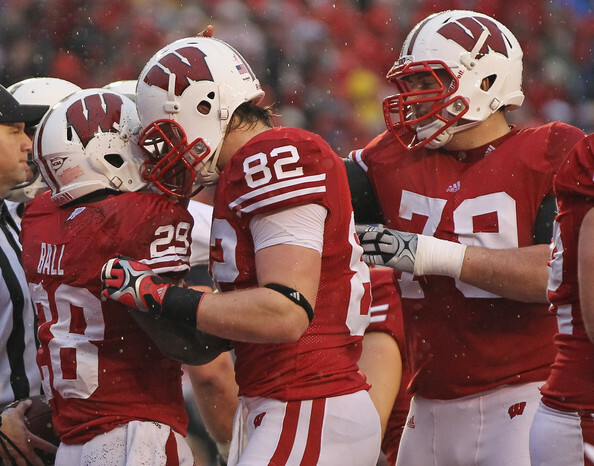 He was a tight end on the Badger football team for 4 years, and played! Turned out that Jake uses the same insulin pump as Joey, and that was super exciting. He explained how he covers it up while in a game, and how he has very tight control over his blood sugars, which is so important. Jake has just graduated from UW-Madison, and now plays for the New Orleans Saints!!! We are so proud of him, he never lost sight of his dream, and he didn’t leave Joey behind. Just yesterday Jake emailed Joey, offering advice and friendship. Through Jake, I have been blessed to meet his mom, Holly Michael, she is a writer, check out her blog at: http://writingstraight.com/2012/05/09/walking-on-water. She is such an inspiring woman, not hard to see why Jake is so successful in his endeavors. 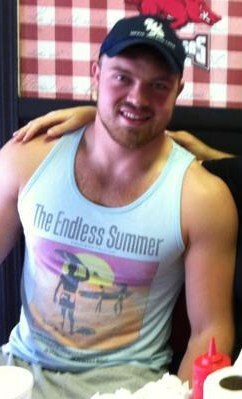 Jake’s little brother Nick is graduating high school and going to play football (full scholarship) for Arkansas State! What a talented family. Joey feels blessed to have such a great guy mentoring him in his football career, it means the world to us too. As you guessed we allowed Joey to play football last fall, and he can’t wait until July, when he gets to attend a Varsity camp, ran by the CMH Varsity football coaches. We all have a journey to take in our lives, we will back Joey 100% in whatever he wants to do, he has proven that if he wants something bad enough he will make it happen! He’s an awesome kid with awesome people around him.